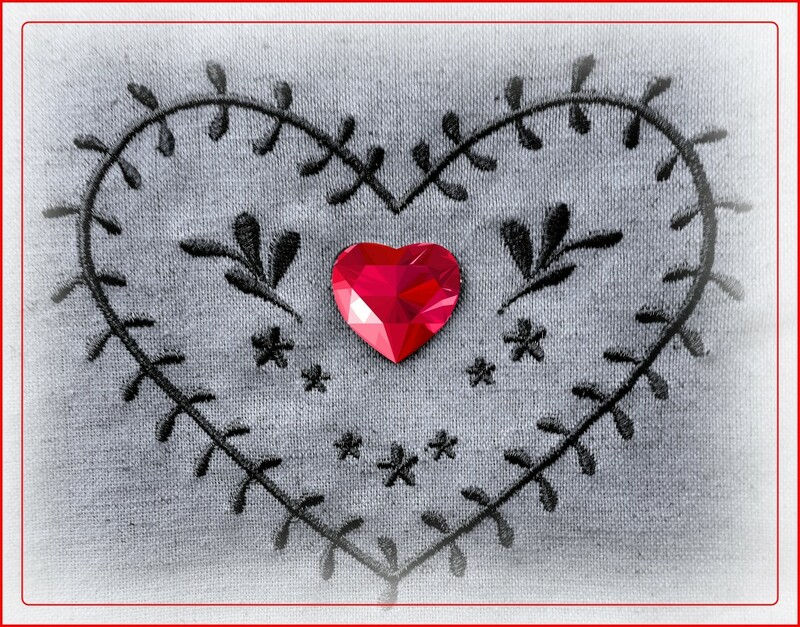 A heart for Valentine's day , This lovely heart is embroidered on a lovely natural coloured linen place mat , converted to b/w and added a ruby heart for a flash of red !! Nicely done - a perfect red heart for the day! It's a valentine smiley face. Beautiful! Perfect for the flash of red today! Lovely embroidery and the red heart is a great choice for your flash of red. Fav. Love your flash of red! beautiful work and image FAV! So pretty, perfect for the theme. I love it. fav. A beautiful work and great capture of it. Fav. Very creative picture for the flashofred challenge. Really nice - your handiwork? @quietpurplehaze Nice to see you popping in and thank you - no not my embroidery but on of mum's I inherited ! Hope Ray is recovering after his op and that you are keeping well ! Well it’s lovely Beryl. We are OK, thanks: I am still tired! Ray has intermittent pain in his shoulders - ‘they’ don’t tell you everythinq you might get! But we are doing well. Happy belated Valentines Day to you Beryl!